I don't think "fitting" is the right word, but I find it humorous that in my Top Albums of 2017 list, I mentioned how Tribulation hadn't fully clicked with me while praising the latest album from Cloak. And now for my first review of 2018, I'm here getting to ready to gush about how on board I am with Tribulation. It's a strange world we live in, but that's what keeps things interesting, right? 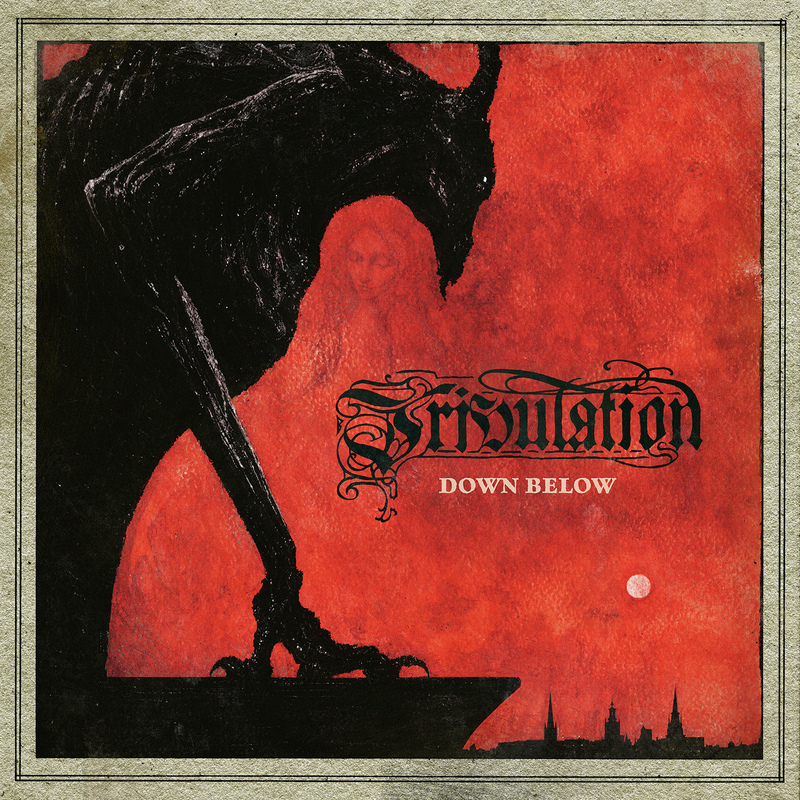 Anywho, Tribulation's latest endeavor, Down Below, is bringing in the new year in a big way. The band's rock sensibilities shine through with gravelly vocals casting an eerie ambiance over the otherwise upbeat and spirited guitar rhythms and riffs. Even though they are accurate descriptors, "black n' roll" and "goth-rock" are terms that are being used too liberally and make it easy to look past what Tribulation has achieved with Down Below. Tribulation's previous release, 2015's The Children of the Night, had garnered the band plenty of attention and was my introductory listen. While it was certainly enjoyable, there wasn't much perpetuity to the album as a whole. It felt more like a collection of stand-alone tracks than anything else, which is fine but not something that's going to keep me coming back. Down Below's opening track and first single, "The Lament," pulls you in immediately, presenting a rock anthem whose charm is as undeniable as it is approachable. It also sets the guidelines for what is to come throughout the rest of the album. The guitar work of Adam Zaars and Jonathan Hultén always find their equilibrium, constantly exchanging building rhythms with harmonized riffs and melody with power. More often than not, the vocals of Johannes Andersson keep that black-metal fervor in-tact but they are utilized melodically as well. The chorus from "Subterranea" is sure to be stuck with you for a good while. Where Down Below makes itself stand-out from the rest of Tribulation's work to date is it's all-encompassing vibe. The band follows a traditional song-writing formula overall but accentuates certain elements to allow the atmosphere to evolve yet remain thematically consistent. "The Lament", "Nightbound", and "Cries from the Underworld" are tracks that give the album its punch, but other tracks like "Purgatorio", "Lacrimosa", and "The World" (my personal fave) are the ones that finely craft the album's intricate ambiance. Pianos are often introduced to either give the guitar melodies more depth or to play out the track to build tension. Phaser guitar effects, church bells, music-box chimes, and organs are also included in the mix to further embellish the album's unnerving profoundness. By incorporating accessibility with dark undercurrents, Down Below shapes an unpretentious sophistication that also carries a romantic nefariousness. Its amiability brings to mind the compositional prowess of bands like Ghost, Occulation, and In Solitude but rest assured that it carves a unique niche within the occult metal/rock scene for Tribulation. A testament to the band's evolution, Down Below sets a high bar for all other releases to come out throughout the year, but it's a safe bet that it'll be seeing just as many praises at the year's end.